when our sleeping is filled with dreams of heaven and earth. ready to discover your presence in our midst. Amen. The lectionary readings this week are quite challenging. There’s a lot about enemies, heirs of God, of people being thrown “into the furnace of fire, where there will be weeping and gnashing of teeth.” As a non-theologian, with a background in international relations and human rights, these passages are difficult for me to process. But they did make me think of the current situation in Israel and Palestine. A few weeks ago, three Israeli teenagers were found murdered in the West Bank and a Palestinian teenager was burned alive in East Jerusalem in suspected retaliation. As I write this, hundreds of rockets are being fired from Gaza into Israel. Israel has launched its largest offensive on Gaza targets since November 2012 and is lining up troops for a possible ground invasion. The death toll mounts. Defence for Children International Palestine, a United Church partner, documented 14 children killed by Israeli air strikes on July 8 and 9 alone. Who knows what the situation will look like a week from now, when this reflection is published? For some, the place where Jacob had his dream – the place he’s named Bethel – is Beitin, a Palestinian town in the West Bank. Nearby, the illegal Israeli settlement of Beit El bears the same name as the one Jacob proffers. The root of this violence is in the ongoing illegal Occupation of the West Bank and Gaza; organization such as Jewish Voice for Peace and the World Council of Churches affirm this. One way towards peace is to promote nonviolent resistance aimed at ending the illegal Occupation, the systematic injustice that affects all Palestinians regardless of whether or not they have taken part in violent resistance. This collective punishment of Palestinians – starkly evidenced in the aftermath of the kidnapping of those three Israeli teenagers when over 400 Palestinians were arrested, 200 of whom still remain imprisoned without charges as I write this – is illegal under international law. It is also not part of Jacob’s dream, a dream where angels are able to move freely up and down the ladder between Heaven and Earth. The Palestinian people do not have this type of freedom of movement. In June 2012, there were 542 checkpoints and roadblocks in the West Bank compared to 376 in August 2005. Palestinians have to apply for permits that are not always granted in order to leave the West Bank and enter Israel; in Gaza, it’s practically impossible to leave, even for medical reasons. Is this really Jacob’s vision? Jacob is a revered figure – a patriarch – in all three of the major monotheistic religions. Surely his vision is better realized by the peaceful, equal, and self-determining coexistence of all peoples in and around the city of Jerusalem, deemed holy by all three traditions. It’s difficult in times like these to know what action you can take personally. 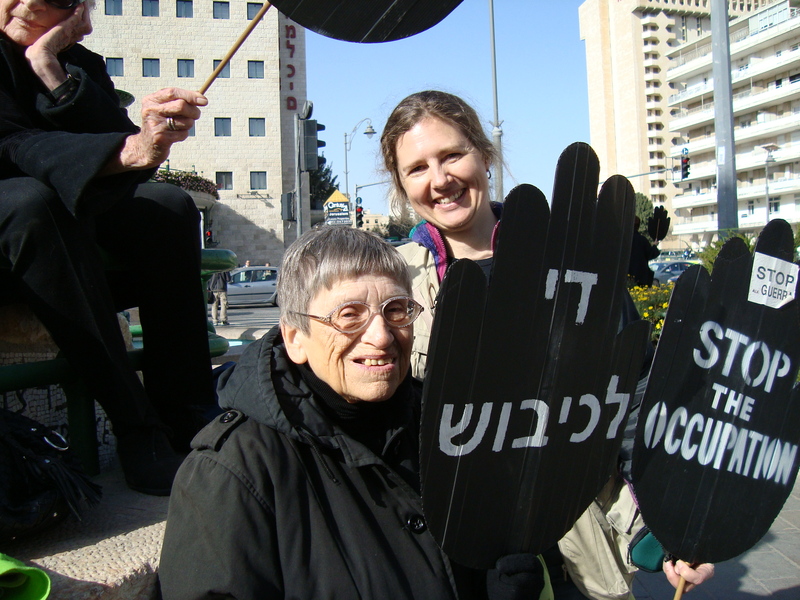 One way is through the United Church’s Unsettling Goods campaign, which uses nonviolent economic action against three products made in the settlements to promote peace through an end to the Occupation. May the dream of Jacob come true in this world… sooner rather than later. and pledged them descendants more numerous than the stars. and sealed by the gift of your Spirit. Amen.